***** 5-STAR SALE $19.99 S.T.E.M. 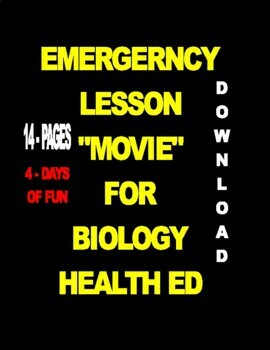 LESSON "MOVIE" for Biology - Health Ed - 17-PAGES 3-ACTIVITIES 4-DAYS WORK. Captivate those crazy kids with a challenging . . . action-packed . . . animated . . . thriller movie . . . PLUS . 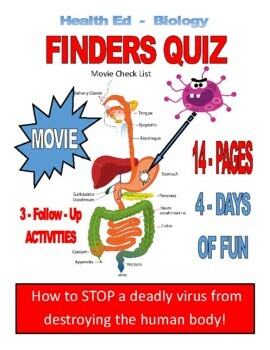 . . a PRE-MOVIE movie FINDERS QUIZ . . . a post-movie PASTE-UP ACTIVITY . . . A post-movie MYSTERY PUZZLE . 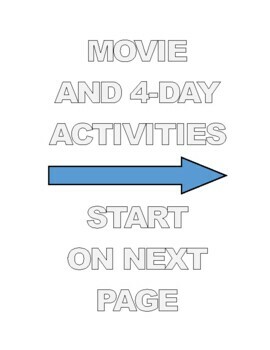 . . .and 3-ANSWER KEY for the three activities. ***** 5-STAR S.T.E.M.